***OVERNIGHT PARKING*** Parking is prohibited on any Village between sunset of any day and sunrise of the following day except for automobiles and other self-propelled vehicles of bona fide guests of a property owner located within two hundred feet (200’) of said parked automobile or other self-propelled vehicle. 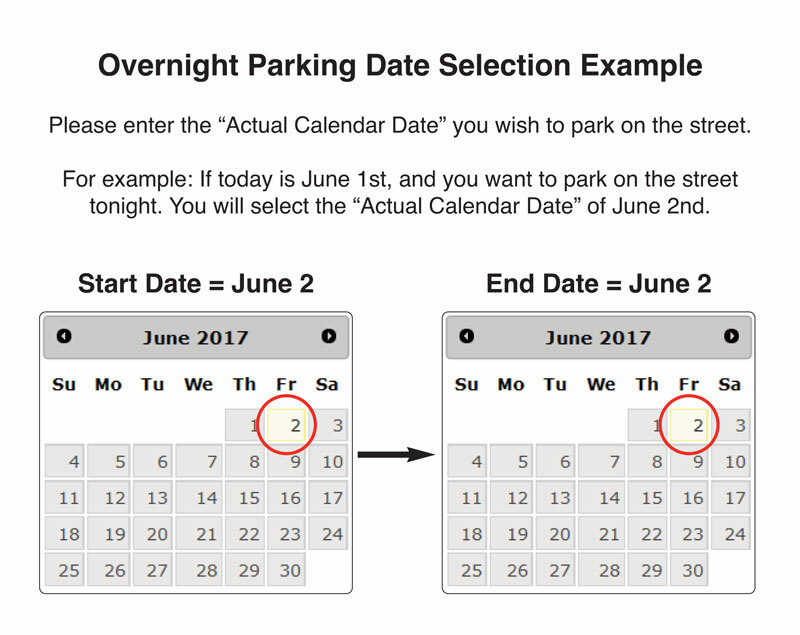 Overnight parking permission requests must be submitted prior to 2 A.M. of the day requested to avoid a citation. All vehicles receiving permission MUST otherwise be parked legally. Parking is also prohibited within 12 hours after a snowfall of three inches or more has occurred.